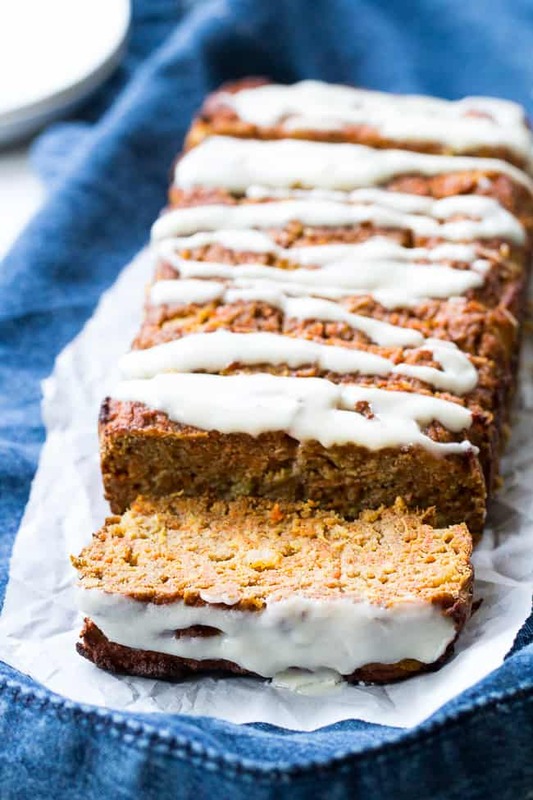 This super soft and moist pineapple carrot cake bread is just as healthy as it is delicious! Kid friendly and perfect with brunch, for dessert or as a snack. 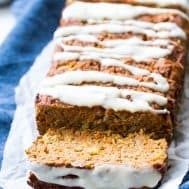 Made with coconut flour with an optional coconut butter drizzle, this carrot cake bread is nut free, too. I really don’t think you can make enough carrot cakes, breads and muffins in the early spring. Carrot is to Spring like pumpkin is to Fall?! 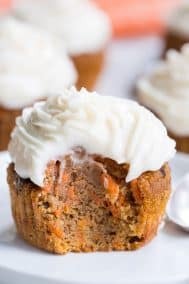 Maybe not quite, BUT ever since I posted my original carrot cake with “cream cheese” frosting, I’ve been going through a steady supply of shredded carrots and going through muffins and breads on a weekly basis. And, what I’m sharing with you guys today is what has become my favorite nut-free, coconut flour based carrot recipe. 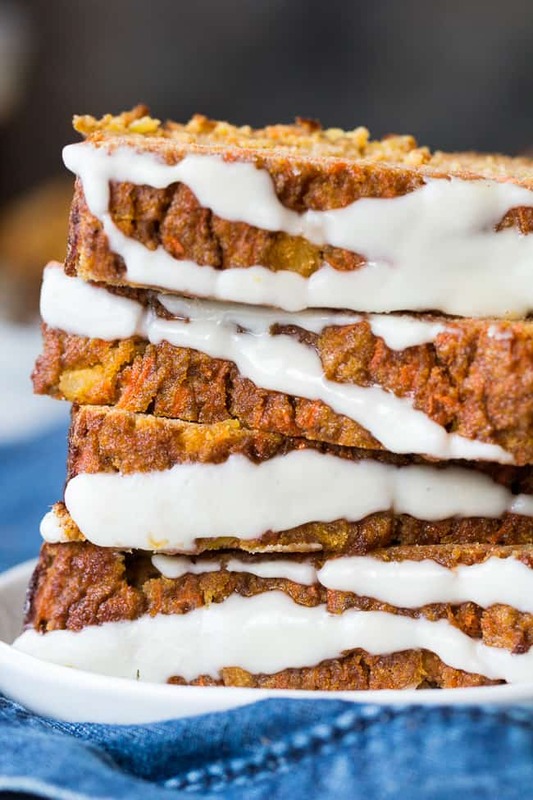 We have a super moist, soft, and sweet pineapple carrot cake bread that can really just pass as cake all on its own, in my opinion. Why haven’t I been putting pineapple in all my carrot recipes?! Because I definitely think I’m hooked, now. Big time. Wanting to keep this recipe totally nut free, but also being very insistent about a frosting/glaze to make this ultra dessert-like, I decided to sweeten coconut butter with a little bit of maple syrup and see how I liked it with this bread. The coconut butter definitely went with the tropical pineapple theme here, and, if you’re a fan, you will LOVE how it glazes over the bread and complements all the flavors. That said, coconut butter isn’t for everyone – I would say especially for kids, it’s an acquired taste! However, whether you decide to drizzle this bread with the coconut glaze or not, I trust that you’ll be very happy with the final result. This bread was a hit with all 5 of us and was completely gone within a day of making it. A couple of notes on the recipe. First, I used canned crushed pineapple in 100% juice, and measured the amount AFTER completely draining it. BUT! Remember to reserve the 1/2 tbsp of juice before draining, or better yet, just save all the juice for another use (smoothie maybe?) since it’s just so yummy! 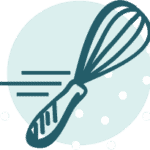 Second note – since this recipe uses coconut flour, the batter itself will be quite thick. The thickness has no bearing on the final result of the bread – it turns out extremely moist and soft with none of the grittiness you can sometimes experience with coconut flour. While it’s soft and moist, the bread doesn’t happen to rise or change shape much after baking (another coconut flour quirk), so make sure you spread the batter out nice and evenly in the pan. Plus, since a little bit of coconut flour goes a long way, you’ll want to measure it exactly as stated to get the correct texture for the final product. 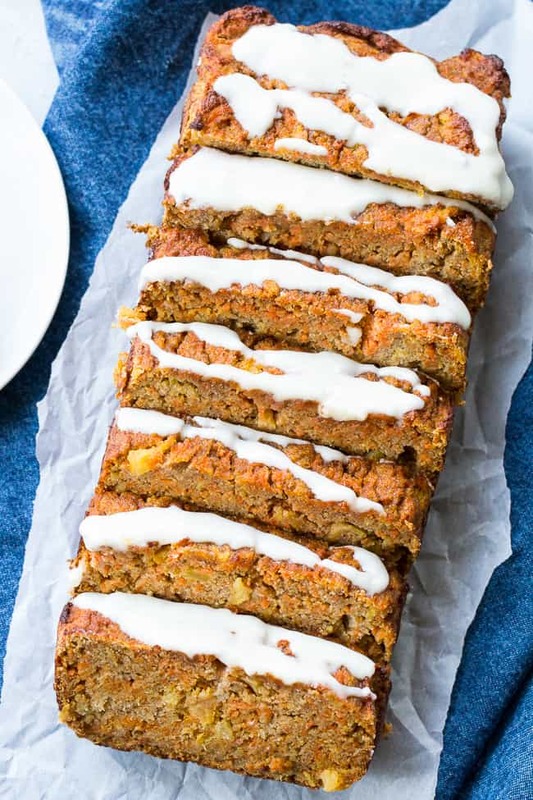 This super moist pineapple carrot cake bread is just as healthy as it is delicious! Kid friendly and perfect with brunch, for dessert or as a snack. 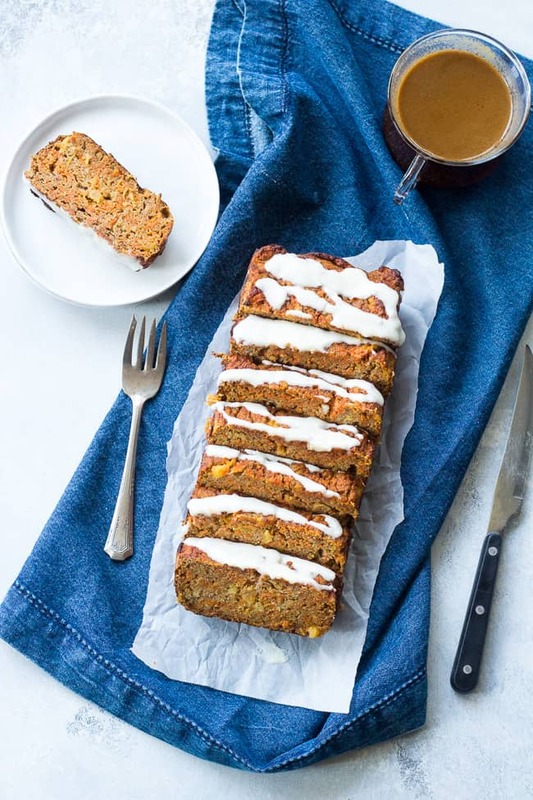 Made with coconut flour with an optional coconut butter drizzle, this carrot cake bread is nut free, too. Preheat your oven to 350 degrees and line a medium loaf pan (8x4" or 8.5x4.5") with parchment paper. In a large bowl, whisk together the eggs, coconut milk, maple syrup, pineapple and reserved juice and vanilla. In a smaller bowl, combine the coconut flour, tapioca, baking soda, salt, and spices. Stir the dry mixture into the wet until fully combined but don't over-mix. Gently stir in the shredded carrots to evenly distribute, then, using a rubber spatula, transfer the entire mixture into the prepared loaf pan. The batter will be thick due to the coconut flour, so you will need to spread it out evenly in the pan using the spatula. Bake in the preheated oven for one hour, or until a toothpick inserted near the center of the loaf comes out clean. Remove from oven and allow the loaf to cool in the pan for about 15 minutes. Then, carefully transfer the loaf to a wire rack, holding onto 2 sides of the parchment paper. Allow the bread to cool completely before drizzling the optional glaze over the top. If your house is cooler and your coconut butter is solid, very gently melt the coconut butter, either by running the jar under hot water (preferred), or by microwaving in 5 second increments, then stirring, until just melted. Stir in the maple syrup, then drizzle over the top of the cooled loaf. The glaze will harden once it completely cools. Enjoy! *I used my food processor's shredding attachment to make this part easy! 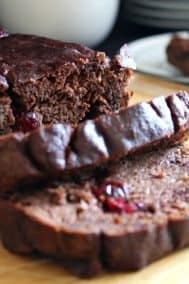 Want more delicious paleo and nut free breads and muffins? Try of of these! What’s your preferred grain-free flour to bake with, or your favorite combo? I know it’s a complicated subject but coconut is considered a “tree nut ” by the FDA.. Just wanted to throw that out there from someone who has nut allergies, including coconut, in their family. Yes I have received comments like this before for labeling recipes as “nut free” when they do contain coconut, however, after doing a bit of research is seems like the majority of those with tree nut allergies can safely consume coconut, however, of course that’s not always the case, and some people are allergic to coconut and not to other tree nuts, etc. 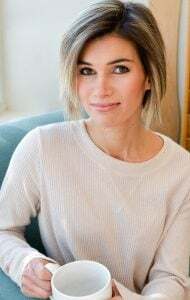 Since many paleo recipes contain almond flour, nut butters, and other sources of tree nuts, I think it’s okay to call a recipe nut free when it relies on coconut, even if the FDA considers it a tree nut, since it’s sort of in a category of its own. Since I mention coconut flour in the description as well, if someone is allergic they will immediately know the recipe is not for them. THIS LOOKS SO GOOD Michele! 🙂 Your sweet breads are always a work of art! Uh, yum! Not only does this sound amazing, the photos are just goooorgeous as well. And coconut butter is my new favorite thing! I couldn’t freaking believe how easy it was to make so I had to put a video on my latest post about it ? 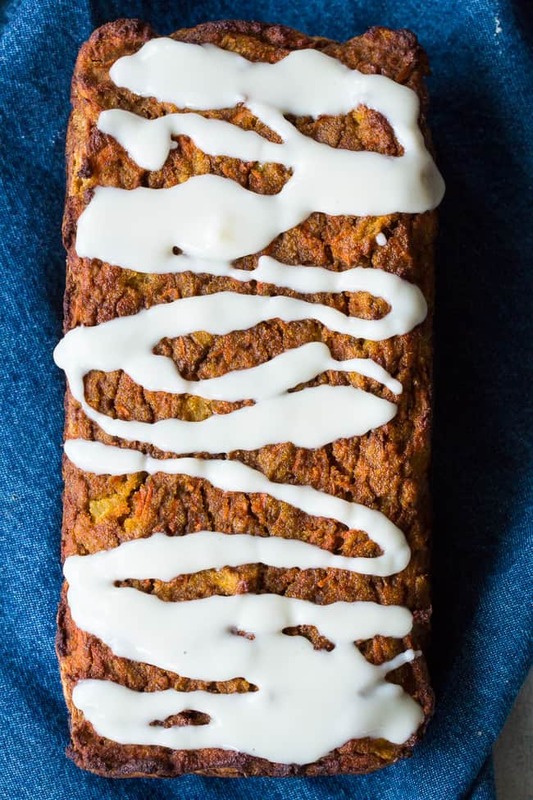 I can’t wait to try this, considering how much I love carrot cake, as well as veggie/fruit breads! I haven’t made coconut butter but I’ll have to check out your video and give it a whirl! I made this tonight and it’s absolutely divine! Thank you! I love carrot cake/pineapple! This looks absolutely delicious. I don’t get it…followed EXACT…my outcome was a wet sponge and the icing was a clear runny mess. Im an intelligent person and followed the recipe to a “T”! 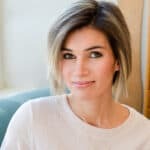 I try these paleo perfect blog recipes, just may not be my reality, not sure…frustrating! Felt like it needed to cook for about 2 hours to not be wet feeling, too high maintenance for this busy momma. Hi, sorry it didn’t work out, since it was wet it sounds like the flour measurement was off for some reason, coconut flour absorbs lots of moisture and small differences can be more noticeable than with other flours. As for the coconut butter icing, did you definitely use coconut butter and not oil? I can’t see how coconut butter would be a clear runny mess, if anything it hardens up too easily. Again, sorry it didn’t work. 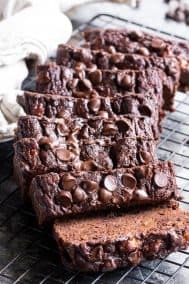 You might want to experiment with almond flour recipes if you’re new to paleo baking and can have nuts, since I find those to be more forgiving generally. Darn, I don’t have any tapioca flour. But, I’ll save this recipe for another time. Sounds wonderful! I have lots of “shredded” carrots from juicing. Knew there was something I could do with them. Could you use flax eggs for this? We are a paleo family but just found out about an egg sensitivity and are avoiding eggs. I’m not sure if they’d sub in well since there are several eggs – I’ve only subbed on for up to 2. That said, I think they’d be your best bet. BIG disappointment!!! as christie says above, i followed recipe perfectly, measured coco flour exactly. have oven thermometer to be sure temp correct. and yet…end result was wet spongey mess (after one hour cooking and toothpick coming out clean). i let it cool completely thinking it might firm up. it did not so i put it back in for another 20 minutes…sadly that did not help. it is not like bread or cake…wet soggy sponge is best description. YUK!!! to make matters worse, it took hours to make this and clean kitchen afterwards…i will not be repeating. Sorry this didn’t work out for you, I’m not sure what went wrong unfortunately. I also do not have tapioca flour, is there anything I can substitute ?